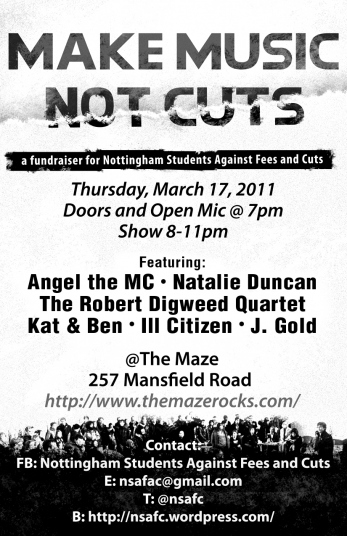 Nottingham Students Against Fees and Cuts are putting on a fundraiser to raise money and to publicise the campaign. Doors and Open Mic at 7pm, Show at 8pm. This entry was posted in Events & meetings and tagged city, cuts, music. Bookmark the permalink.